First off I’d like to say whaaaaaa. I’m used to the conventional nose strips, which you just place on a wet nose for 15 minutes then remove, but 3 steps that sounded crazy at first to me. 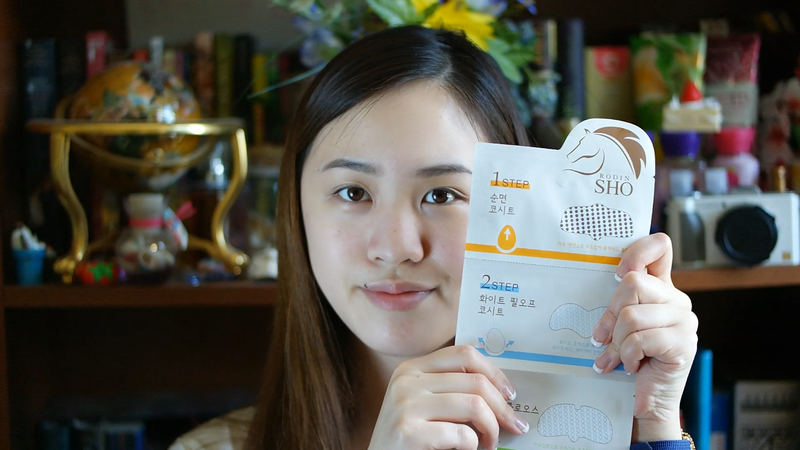 Today I’ll reviewing Coreana’s RODIN SHO 3-Step Nose Pack, it’s a 3 step nose strip pack! First step; makes black heads to the surface (magic of horse oil), Second step: Actual removal of black heads, white heads and sebum, cleans pores with a peel-off sheet.And finally the 3rd step: Re-hydrating and making your nose happy via horse oil. 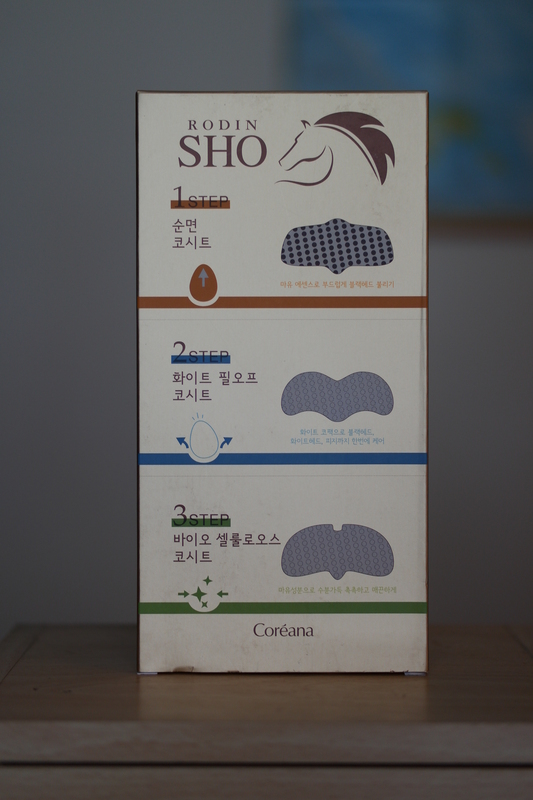 Horse Oil seems to be trendy, and it really seems to hydrate well so I was down to try this nose pack. I always thought of myself to be a minimal pore type of person but this just goes to show what’s underneath all that skin can be realllllly hidden. 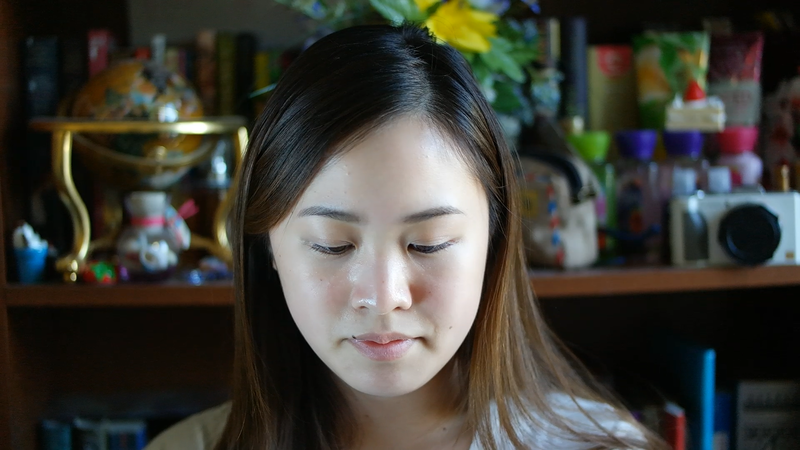 I rarely do nose strips but this proved that my nose is gross, and bleh. Beware: this will consume 45 minutes of your life, but you know you can relax and do other things while the nose strips do their thang. The first strip is a paper like strip, which you apple on after cleaning your nose, and after 15 minutes clean away the excess with a Q-tip. 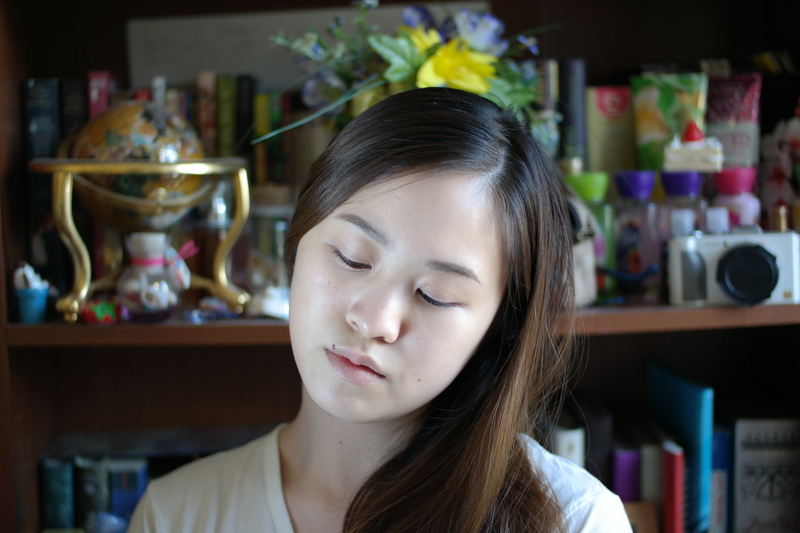 I think this step really opens up the pores so it’s easier/less painful to do the second step. The second step is the actual pore removing part so be sure to put a lot of water around the area of the nose to make sure it adheres onto it. After 15-20 minutes or when the strip dries, carefully, remove it and then look at it in mild horror and amusement. I don’t know why, but after removing the nose strip you have to look at it, you look at it wondering, “how, how could so much sh*t be in my nose.” And think to yourself you gotta work on cleaning your pores more. The last step is more a recovery mode nose strip, it’s a gel strip (so more like a nose mask) to help heal, minimize the pores, and hydrate the nose again. All in all it seems like a good product, it removed a lot, and I mean a lot, of disgusting sebum from my nose. It was quite gross. I’m not going to put a picture up because I thought if I wouldn’t want to see it, neither would my readers. I’d rate this as a 9/10. It’s a good nose strip! And I think much better than holika holika’s one. Unfortunately I can’t seem to find a link of where to buy it, but I’ll ask my sponsor and hopefully have one up here soon!